A SQUATTER has allegedly subjected a Costa Blanca community to a four-year campaign of squalor and fear. 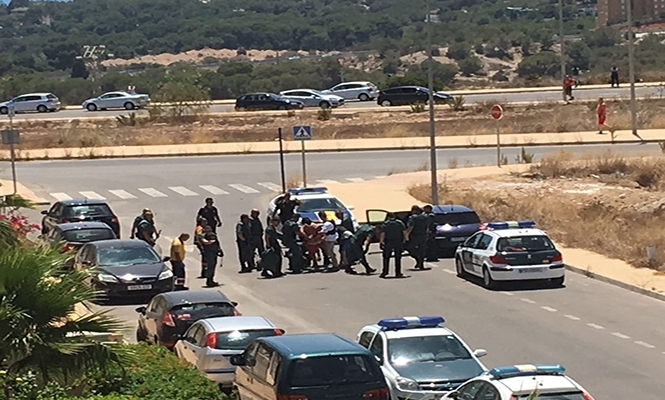 Residents of Las Vistas in Lomas De Cabo Roig, said they have tried in vain to have the ‘violent’ and ‘disruptive’ man removed through the courts, and claim he was arrested last year, only to break back into the empty property days later. Police were called after a confrontation between the squatter and a neighbour. Witnesses said the unwelcome guest, thought to be in his forties and suffering with mental health issues, was brandishing knives and a machete before more than a dozen police officers managed to detain him. Speaking exclusively to the Euro Weekly News, neighbour and retired police officer John Wakenshaw, 57, said he often locks himself in his own home and avoids leaving the property. Along with fears of violence, residents´ complaints include mountains of rubbish strewn across the garden and dozens of animals inside the property. Mr Wakenshaw, who bought his home in 2007, added: “He is around all day long, he only leaves to go to the skip at the end of the road, coming back with bags of food and rubbish which he just leaves lying around. Numerous complaints have apparently been made to Orihuela Town Hall and officials, but to no avail. In a bid to help themselves, the community has organised clean-up operations of their own, but claim things are now worse than ever. Community committee member Nick Langan, who owns a holiday home in the area, confirmed the dire conditions he and his neighbours have to endure. The property, a possible repossession, is thought to be owned by SAREB, a Spanish government-owned company set up to manage assets. It is not known if the firm has instigated any new eviction proceedings.